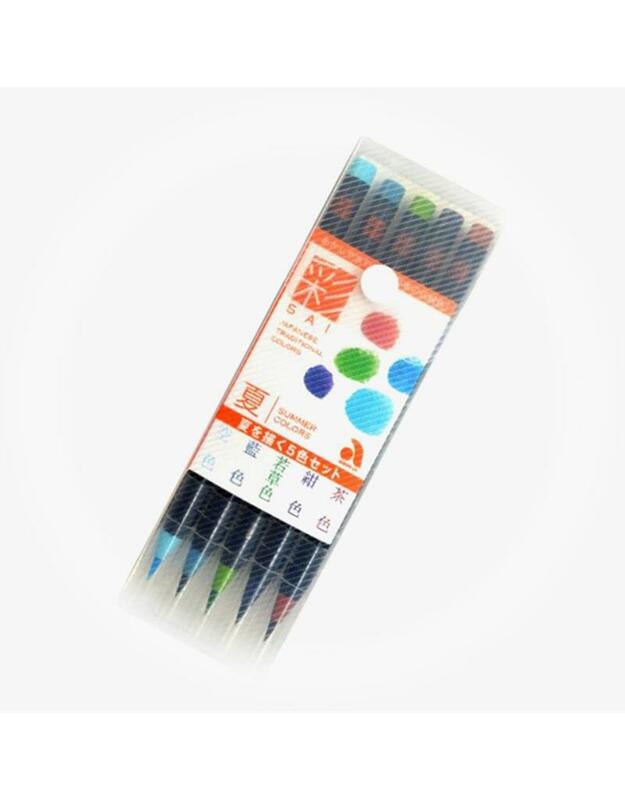 Sai Watercolor Brush Pens recreate the function of water soluble brushes in a portable, clean, and convenient manner. They can be mixed with water and other colors to create gradients, shades, and similar effects. Like most watercolors, the Sai Brush colors are not light-fast and will fade if left in sunlit locations. 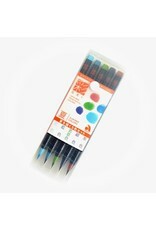 Great for sketching, journaling, or artwork intended for indoor display. 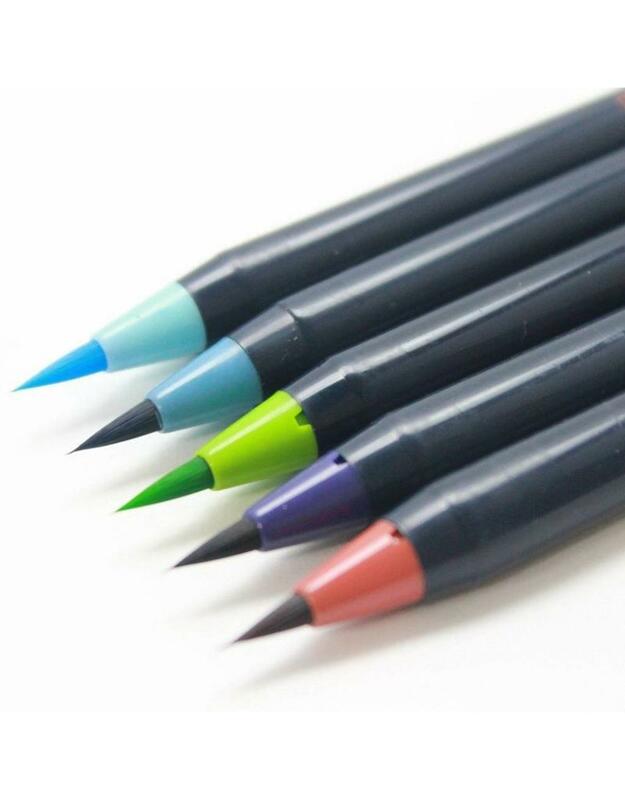 Flexible brush tip allows you to vary the width of your strokes depending on the pressure applied. 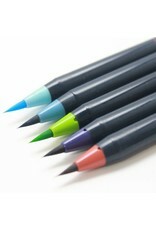 This Autumn Set includes 5 seasonal colors: Light Brown, Dark Blue, Lime Green, Indigo, and Sky Blue.